Jennifer Harris and Hilary Iris Lowe, eds. From Page to Place: American Literary Tourism and the Afterlives of Authors. Amherst and Boston: University of Massachusetts Press, 2017. v, 244p., ill. ISBN 9781625342331. $28.95. This examination of literary tourist destinations – from birthplaces to graves and from real-life models for fictional settings to spaces where texts were written – is built upon the dictum that American literature is more than “simply a matter of words on a page” (1). Rather, it emerges from a mélange of “collaborative [efforts] between author, preservationist, curator, docent, reader, and tourist,” such that the sites visited by avid tourists are “functioning alternately or simultaneously as markers of community, memorials, conduits, exemplars and training grounds in ways authors themselves never imagined” (2). Published as part of the University of Iowa Press’s impressive Whitman Series (edited by Ed Folsom), Matt Cohen’s Whitman’s Drift investigates not only the multitudinous ways by which Walt Whitman distributed his work, but also how the great nineteenth-century poet imagined that distribution. 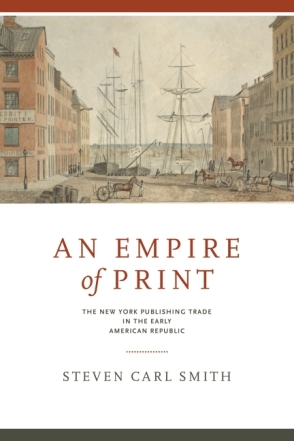 By performing this innovative intellectual maneuver, Cohen is able to take his analysis beyond the realm of Whitman and his poetics and open up new questions about the role of distribution in print culture studies and literary studies more generally.